Shiny wireless mouse. 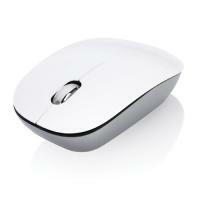 The receiver can be placed at the back of the mouse. 1000 DPI.